Tonight was night one of my training plan. Well, technically it started yesterday, but today was the first running day. I was a little concerned as the plan called for 3 miles, and it’s been at least a month since I’ve run more than a mile on the treadmill. I worried for nothing because I had an ah-may-zing run! I headed over to the indoor track at the Pavilion as I knew there was no chance in hell I’d make it three miles on the dreadmill without wanting to slit my wrists. I walked a half mile to warm up and cool down. I did 4 miles in 40 minutes. Soeven with my walking, I maintained a 10 minute/ mile pace. I was not expecting this at all after being off for so long. I even managed negative splits! 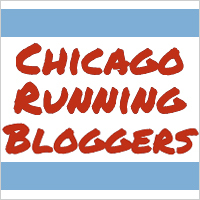 Mile 3: 9:15 – I really cranked that last mile. I was definitely exhausted when I finished it, but it felt great! 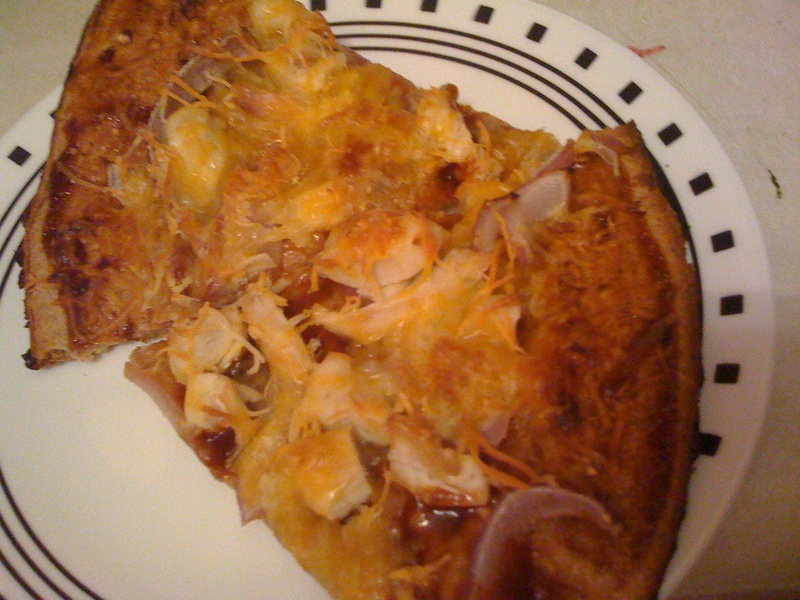 Dinner tonight was BBQ chicken pizza. It wasn’t my best pizza ever, but it was satisfying. Well, I’m going to finish my mug of peppermint tea and get my booty to bed. G’night! Congrats on the three mile success! I just started running last month and am not up to that point yet. It is nice to hear how you were able to push through it. I hope I’ll be able to celebrate three miles soon!